Please click below to view the 9th Annual Conference Agenda. Abstract: Active-learning approaches to undergraduate education in the sciences can lessen achievement gaps by boosting performance of underrepresented minorities and women (e.g., 1). Digital games designed to support STEM learning can engage and improve content learning in all students, including underrepresented populations (2). Games are excellent models for teaching and learning due to features that parallel active learning strategies, such as immediate, relevant formative assessment, low-stakes challenges, incrementally harder problem solving tasks, and open-ended problems with multiple paths to a solution (3). This workshop will introduce you to game-based learning using the digital game Geniverse, a genetics learning environment that we previously developed and used successfully to help high school and college students learn genetics and genomics. Geniverse is used in biology classrooms with students ranging from an upper-level Genetics and Molecular Genomics course at the University of Massachusetts, Amherst, to thousands of high school students in introductory through AP bio, to middle school students in life science classes. Geniverse can be integrated in a variety of classes and contexts, is available online free of charge, and includes free account registration for tracking student progress. Extensive teacher support materials are freely available. Geniverse was developed with funding from the National Science Foundation. – Participants will be introduced to the fundamentals of using game-based learning in classrooms and OST environments. – Guided by workshop facilitators, participants will play and experience Geniverse at levels from beginner to advanced. 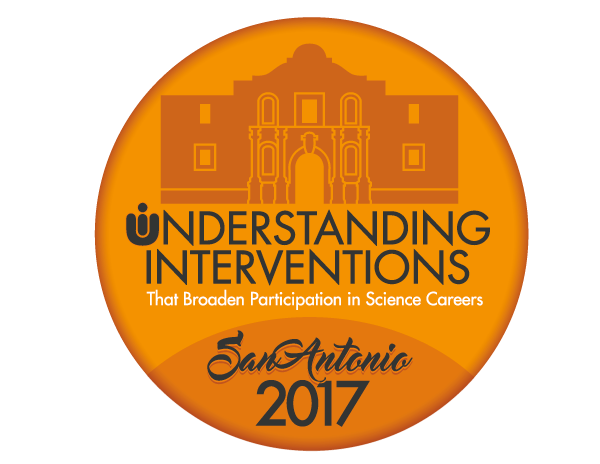 – Participants will engage in small group discussions about broadening participation in game-based STEM learning environments. – 86% reported that Geniverse helped them learn genetics. – 95% appreciated being able to play outside of class. – 62% of students reported that they learned about the same amount or more using Geniverse compared to hands-on laboratory activities, . – 71% of students reported that they found Geniverse to be about the same or more engaging than hands-on laboratory activities. Abstract: We invite faculty, staff, postdocs and graduate students to participate in a 3-hour workshop to experience and learn about biases that impede student success in STEMM fields. This workshop is centered on Fair Play – a video game designed to raise awareness about micro-aggressions and other types of racial biases in academia (Gutierrez et al., 2014). In the game, players take on the role of Jamal, an African-American graduate student who experiences bias incidents as he navigates through his academic career. Fair Play was developed using scientific literature about bias, as well as the personal experiences of underrepresented minority students in postsecondary education. Research conducted on the game suggests that it does enable perspective taking by participants, and is a novel way to learn the names and definitions of bias concepts (Kaatz et al., 2017). The overall workshop is based on a tested model to teach about and address bias in the academy (Carnes et al., 2015). The first module of the workshop provides participants with the scientific literature about implicit bias—where it comes from, how it operates, and how it influences behavior. In this section, we also discuss the efficacy of using video games to teach about serious subjects like bias (Gee, 2007). After playing Fair Play, participants reflect on and react to their experiences as Jamal. Finally, we review literature and identify evidence-based techniques shown to decrease bias behaviors in individuals (Devine et al., 2012). Participants will be able to: describe ways implicit bias can negatively impact others, explain how video games can be used in learning, identify and define bias concepts, compare their experiences within the game to real-life experiences, and recall strategies to reduce bias. Christine M. Pribbenow, PhD, is the original evaluator of Fair Play. Seeing the value in this game to teach about bias, she proposed and received an IPERT grant to disseminate it (NIH-R25GM114002, 2015-2020). She is a Senior Scientist and directs the LEAD Center at the Wisconsin Center for Education Research (WCER). Her evaluation and research focuses on underrepresented populations in STEMM fields. Molly Carnes, MD, MS, is a physician-scientist studying ways to increase diversity in the scientific and medical workforce. She was PI of the NIH Director’s Pathfinder Award that originally developed Fair Play (NIH-R25GM08352, 2010-2014). The overall goal of her research program is to develop, implement, and study interventions that ensure opportunity for participation and advancement of talented individuals from groups that have been underrepresented in academic STEMM fields, particularly within leadership. Percy Brown, Jr., MSEd is a Senior Outreach Specialist for the Fair Play project at WCER. His work focuses on transforming educational systems and educators to effectively meet the needs of underrepresented populations in schools. He has developed and implemented professional development that encourages and engages educators to reflect on their beliefs and values related to race, biases, micro-aggressions, stereotype threat and systemic oppression. We begin the workshop by illustrating the role of the evaluator/researcher as a bridge, as the person who learns how the staff hope to impact individuals and who identifies social science literature that could help measure participant change as a result of the intervention. We next present a sample program and logic model and present two broad types of individual outcomes: internal, psychosocial characteristics and observable behaviors. This distinction demonstrates the broad applicability of measuring internal characteristics. We then present a growing library of scales that The Findings Group (TFG) uses and then ask participants to outline a current or future intervention they are considering. We then lead participants through a protocol to elicit participants’ internal characteristics and demonstrate our approach for adapting scales to fit the intervention. Next, we show participants how to measure reliability and check for validity. Afterwards, we demonstrate analysis and reporting approaches used to relate participants’ internal characteristics with other aspects of the program (e.g. path analysis, mediation analysis, structural equation modeling, etc.). We then present Developmental Evaluation (Patton, 2011) as an approach to better promote the accurate identification of psychosocial constructs and data use. We conclude the workshop by sharing scales, by inviting participants to newly developed networked improvement communities that unite evaluators and researchers, and by engaging in a conversation to improve the effectiveness and reach of these communities. This work is significant to the Understanding Interventions community in that it lends a rigorous approach to measuring “understanding,” potentially exposes gaps in research/evaluation practice, and invites participants to access and contribute to a networked improvement community focused on improving the measurement rigor and accuracy of interventions. This workshop does not focus on a specific study population, but it will introduce participants to scales used across a variety of populations in K-12, undergraduate, and adult populations. Abstract: Science communication is changing more rapidly than ever before. Social networks have allowed more diverse audiences to engage in science and the scientific process, although information access and engagement barriers still exist for underserved populations with regards to technological access, scientific literacy, and voice in the scientific community. Scientists, aspiring science writers, and academic scholars/practitioners should be aware of the exploding options for communicating science online as well as potential pitfalls of new media approaches to science communication. A SciComm 101 workshop would cover basic science communication principles, including knowing the audience and how to engage this audience with storytelling and value-centered framing or communication strategies. The workshop would guide science communicators, whether aspiring, amateur or professional, through evidence-based practices for teaching and engaging people in science in the age of social media. For example, workshop attendees will learn about what drives public use of online science media, motivations for science blog use, trends in public use of social media, storytelling tactics, drivers of public attitudes toward science, how to build trust among diverse sciences, the importance of incorporating diverse voices in science stories, and how to navigate communicating about potentially confusing and/or controversial scientific topics. Regarding broadening participation and diversity interventions, the millennial and digital-native student populations consume information, news, and media very differently than previous generations. Therefore, to publicize the availability of an intervention (fellowship, internship, training opportunity, etc. ), current faculty and administrators need to learn about social media technologies. Tools such as Twitter, Storify, Instagram, and “traditional” blogging might reach students who may not be reading their damn email accounts! Furthermore, scholars who wish to attract the attention of press officers, journalists, and mainstream media for their scholarship and expertise also now need to use social media to create and curate their “brand”. For both activities, challenges exist for reaching an audience of underrepresented minority individuals and communities. 30′ walk-through exercises, e.g. account setups, case studies re: specific communication goal, etc. if 3 hours, latter “exercise” section = hands-on training for all attendees to create social media accounts producing their first micro-contributions. mentee. To advance our understanding of what matters with regard to race/ethnicity in research mentoring relationships, we developed and tested a multidimensional scale of cultural diversity awareness (CDA). The CDA scales measure: 1. Attitudes about the importance and relevance of diversity in research mentoring relationships; 2. Mentors’ behaviors that are indicative of CDA; 3. Mentors’ confidence in their capabilities to support diversity in their mentoring relationships through their actions; and 4. Mentors’ motivation to support diversity in their mentoring relationships. In this workshop, the rationale, psychometric properties, and results of pilot testing for the CDA scales will be described. Before the workshop, participants will be invited to complete the CDA scales and read a related paper about the importance of CDA in promoting effective research mentoring relationships. Highlights from several implementations of an intervention to increase research mentors’ CDA that produced significant gains on the CDA scales will be demonstrated. Finally, participants will brainstorm uses of the CDA scales and relevant interventions in their practice, including programmatic and research efforts. The presenters have extensive experience in training interventions and research to advance diverse trainees in STEMM. Dr. Byars-Winston, a counseling psychologist and Associate Professor of Medicine, has studied academic and career development in STEMM with an emphasis on cultural influences for women and racial and ethnic minorities across career stages. Dr. Pfund is a cell and molecular biologist and Director of the Center for the Improvement of Mentored Experiences in Research. She is a leading authority in research mentor training, co-PI of the National Research Mentoring Network (NRMN), and author of numerous high-impact publications resulting from the development, implementation, and evaluation of research mentor training interventions. Dr. Branchaw is the Director of the Wisconsin Institute for Science Education and Community Engagement where she develops innovative educational programs in pre-faculty/faculty professional development, undergraduate education, and science outreach and engagement. She is an Assistant Professor in the Department of Kinesiology. Dr. Black is a neuroscientist, Assistant Professor of the Practice in Medical Education, and Director of the Office of Biomedical Graduate Diversity. She is an interventions expert who has a well-documented track record of developing programming related to diversity, mentoring, and biomedical research in higher education. ability to mentally rotate 3-D objects is especially important. Unfortunately, of all the cognitive skills, 3-D rotation abilities exhibit robust gender differences, favoring males. Additionally, studies have shown that the spatial skills of students from low socio-economic groups are also at risk of having underdeveloped spatial skills. The assessment of 3-D spatial skills and associated individual differences has been a topic of educational research for nearly a century; however, a great deal of the previous work has been aimed at merely identifying these differences. For more than two decades, Sheryl Sorby has been conducting research aimed at identifying practical methods for improving 3-D spatial skills, especially for women engineering students and has developed a highly successful intervention course aimed at low visualizers. This presentation details the significant findings obtained over the past several years through this research and identifies strategies that appear to be effective in developing 3-D spatial skills and in contributing to student success. Participants will work through one module from the curriculum developed by Sorby to gain an understanding of its structure and use. Abstract: The UI Journal has been incubating for a year, with a launch scheduled for the first quarter of 2017. This workshop is a 90-minute information session for prospective authors, reviewers, and other interested members of the UI community. It will feature the editor, two associate editors, and the designer of the online architecture for submitting, reviewing, and publishing papers three times per year. The presenters will overview the system in live mode, answering questions and inviting feedback. Abstract: “Faculty, directors, and other leaders of programs are expected to implement interventions to broaden participation. What should these “intervenors” know and be able to do? Participants are invited from across STEM disciplines. A multidisciplinary team will lead this 90-minute workshop by facilitating the discussion of roles, responsibilities, and duties involved in interventions work. Participants will identify key knowledge, skills, and abilities needed to transition from understanding to sustaining promising practices. In small groups, participants will also consider how the descriptions above can be used in identifying and developing leaders for programs in different contexts. How to codify what are the “common denominators” of broadening participation that intervenors should command and take back to their home institutions and disciplines will be a major outcome of the workshop. Being Human in STEM is a collaboratively designed, project-oriented initiative that examines the theme of diversity within STEM fields at Amherst College and Yale University. The “Being Human in STEM” course model may be adapted and replicated to support institutional and departmental efforts toward inclusive pedagogies. The model is student directed and faculty/staff supported, allowing students to take ownership of both the process and products of their work, while faculty and staff help ground student voice in research and support the connection to broader college initiatives and priorities. Additionally, the model provides academic structure for ongoing conversation about the value and importance of student diversity on campus and in STEM disciplines. Finally, the presentation of course materials and findings to the broader campus community allows a wide array of students, faculty, and staff to understand how they fit in to the larger scheme of a diverse institution and gather resources to enhance learning in STEM for all. Ultimately, we hope to broaden institutional discourse about inclusive STEM education by sharing resources and tools, as well as inviting students, faculty, and staff to join and contribute to the Being Human in STEM initiative network. Each campus (Amherst and Yale) will present their strategy and attendees will be encouraged to provide input and/or discuss opportunities and challenges at their own institutions. In the first iteration of the Being Human in STEM initiative, students collaboratively designed a course to ground their understanding of the STEM experience at Amherst in national and global contexts, specifically looking at the ways in which gender, class, race, sexuality, and geographic upbringing might shape individual experiences. Students read peer-reviewed articles, surveyed best practices at peer institutions, and interviewed a broad cross-section of over 40 Amherst College STEM students, faculty, staff and alumni. The course’s findings were presented to more than 75 students, staff and faculty in an interactive “Salon” with project presentation discussion tables, an inclusive pedagogy workshop, and a lively Q&A panel. They are publicly accessible through a website and were incorporated into a resource guide distributed at the Dean’s Retreat on Inclusive Pedagogies in May, 2017 attended by 120 faculty and staff members. In the second semester, Being Human in STEM leveraged the research and analysis of the first semester to develop a framework for students and faculty to understand and navigate diverse identities in the classroom and beyond. The students collected, created, and tested tools and resources for fostering a more inclusive, supportive STEM community and shared them with faculty, staff, and students at Amherst College and at other institutions. The website (www.beinghumaninstem.com) continues to serve as the online “home” of the project. W13: A Collective Impact Approach to Diversifying Participation in Science: Where Does Racial Equity and Community Engagement Fit? Abstract: A review of the literature on programs to diversify a discipline or field of study revealed that most of the strategies are predominately focused on change at the individual level (Cantor, Bergeisen, & Baker, 1998; Grumbach et al., 2003). To have a sustainable impact on diversifying participation in a discipline or field of study such as the sciences or engineering, it is imperative for interventions to move beyond the individual and consider the interconnected parts of the ecosystem that supports the discipline or field of study, and examine the elements that made it necessary for the interventions in the first place (e.g., policies, history, institutional racism). In this workshop, the presenter will share the strengths and weaknesses of interventions to diversify different professions (e.g., Collins & Hopson, 2007; Lee & Gilbert, 2014) and use these examples to engage workshop participants in a discussion about the ecosystems relevant to their disciplines or fields of study. The presenter will then proceed to apply the principles of collaboration for equity and justice to interventions designed to impact to the ecosystem, with an emphasis on integrating strategies aimed at addressing racial equity and engaging community (Wolff et al., 2017). The workshop will combine presentations with small and large group exercises (e.g., identification of institutions that constitute an ecosystem and their relationships to each other, identification of who makes up the “community” and ways to engage them) and discussions. Co Authors: Luis Martinez, Ph.D.
Abstract: Previous studies have demonstrated that entrepreneurial self-efficacy is a particularly important antecedent to entrepreneurial action (McGee et al. 2016). Similarly, when considering factors that are important for retention in the scientific workforce, researchers have also demonstrated that self-efficacy can predict the performance of grades, persistence, and perceived career options in technical/scientific fields (Lent et al. 1986). To explore these similarities, the goal of this workshop is to examine what characteristics or environmental factors contribute to the development of an entrepreneurial self-efficacy and science self efficacy among STEM entrepreneurs. In addition, this workshop will help guide practitioners in understanding the benefits of introducing design thinking into STEM curricula. Design thinking underlies the initial steps into entrepreneurship (Dym et al. 2005). It can provide a fruitful pathway into student success, because what is learned in the classroom or laboratory and is directly applied to the real world challenges. Panelists will describe how academic researchers can become engaged in entrepreneurship and thereby encourage their students to consider a career to create a tech enterprise. Panelists will also provide tools to the audience for recognizing one’s own skill sets for starting a company, valuable tips towards identifying capital and other best practices towards enhancing student participation in entrepreneurship. The audience will leave the session with a better understanding of the process of commercialization, creation of a company and intervention strategies to engage undergraduate and graduate students in tech entrepreneurship.